The Garland G. Parker Award is given for outstanding distinguished service to the profession at both the state and national levels. The Linus J. Ryland Award is given for outstanding distinguished service to the profession and to OACRAO. The Elbert W. Ockerman award is given to recognize outstanding professional activities of the state/regional associations and encourage development and expansion of quality professional activities among state/regional associations. 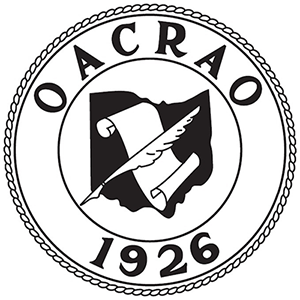 Honorary (lifetime) individual membership in OACRAO is conferred by the Board of Directors to individuals who have made outstanding contributions to the profession and to OACRAO. Fr. Orrin T. Wheeler, S.J.